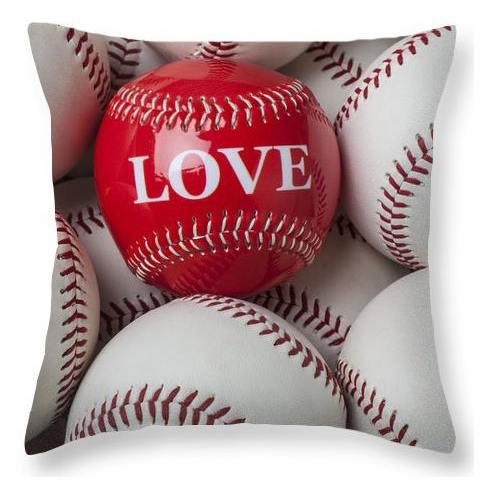 These Love Baseball Square throw pillows are made from 100% spun polyester poplin fabric and add a stylish statement to any room. Pillows are available in sizes from 14" x 14" up to 26" x 26" measured flat. Each pillow is printed on both sides. Concealed zipper and removable pillow insert. Love Baseball - design by Garry Gay.